Our Therapeutic Integration Program is held at 331 Gambrills Road, Suite 10, Gambrills, MD 21054. Read the captions under each photo below to learn about our Social Skills Environments OR Click on any photo to view an enlarged slide show. 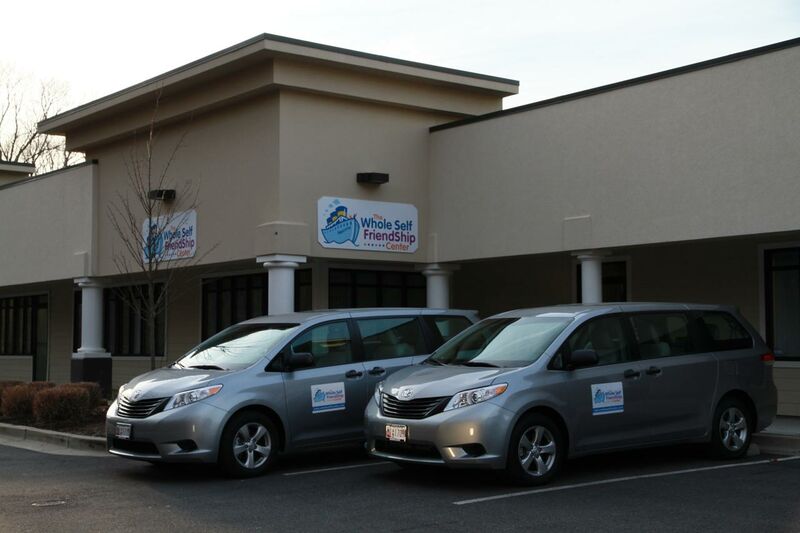 The Whole Self Center’s Therapeutic Integration Program is held at The Whole Self FriendShip Center in Gambrills, Maryland. It has been a long process taking us from a 3,000 sq ft rectangular, cinderblock suite to what is now a state-of-the-art facility. 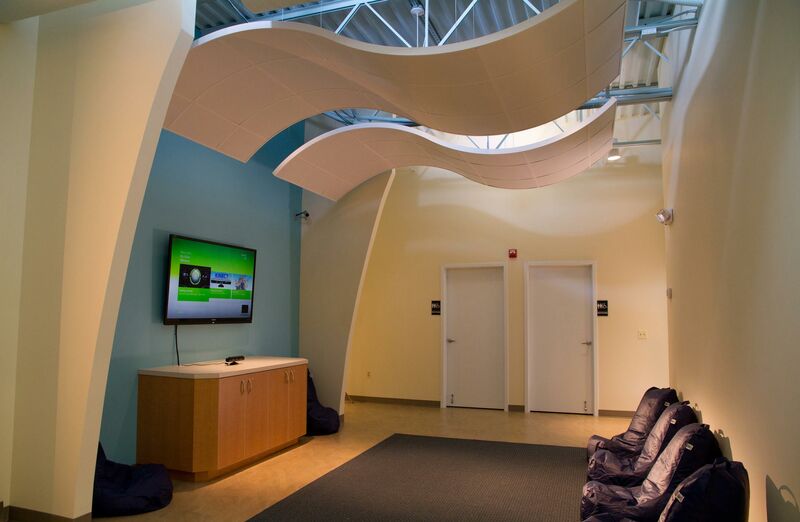 We designed the facility to give children and adolescents with autism opportunities to experience a variety of social environments while being supported by trained staff. Rather than focus solely on “clinical parameters” of autism as a disorder, we focused on comfort, beauty, innovative technology, and space. 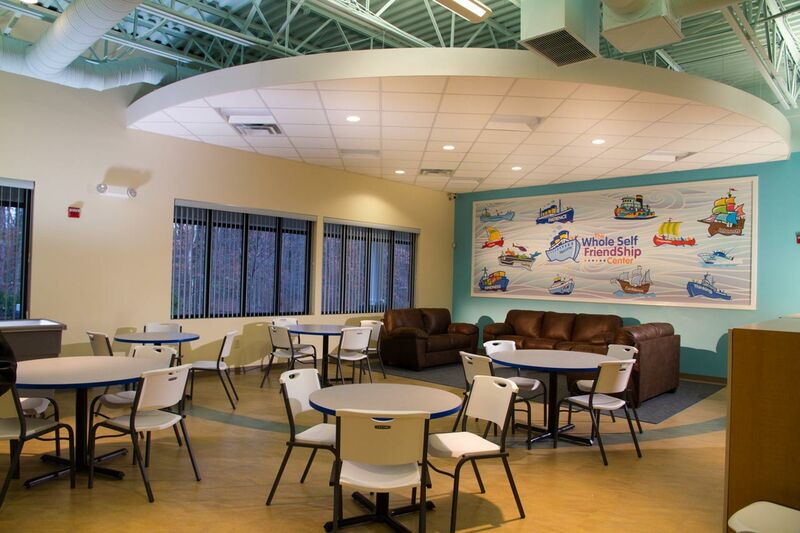 We view The Whole Self FriendShip Center to be like a clubhouse – a place to hang out. Being so close to Annapolis, the theme of ships and harbor became prevalent in the design of our program and our logo. This allows us to explore a different “ship” or Social Skills Category every week through activities and experiences. We will focus on: Communication, Choice, Patience, Kindness, Feelings, Fun, Creativity, Cooperation, Interests, Confidence, Self Control and Thinking. 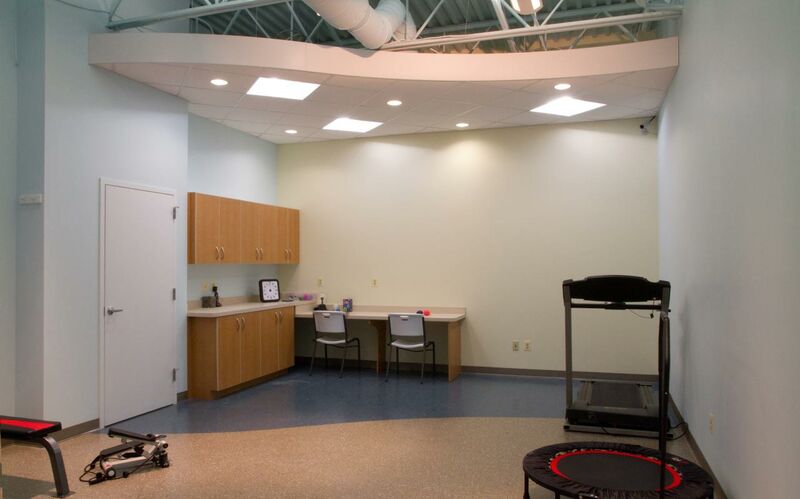 We created five distinct environments where individuals can practice their social and therapeutic goals: Game Room, Activity Room, Computer Room, Media Room and Sensory Gym. The individuals will transition from one room to the next every 30 to 45 minutes. This ensures they explore all areas of the center, avoiding boredom and repetitive activities. 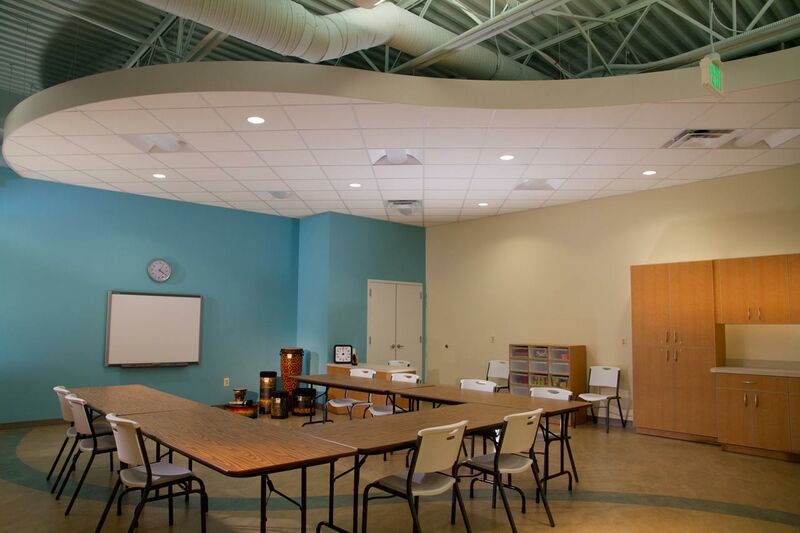 The Activity Room is just right for Music Therapy sessions, arts and crafts, cooking lessons, show and tell, and the use of the interactive Smart Board. It is set up to allow for small or large groups activities and for easy access to the kitchen. 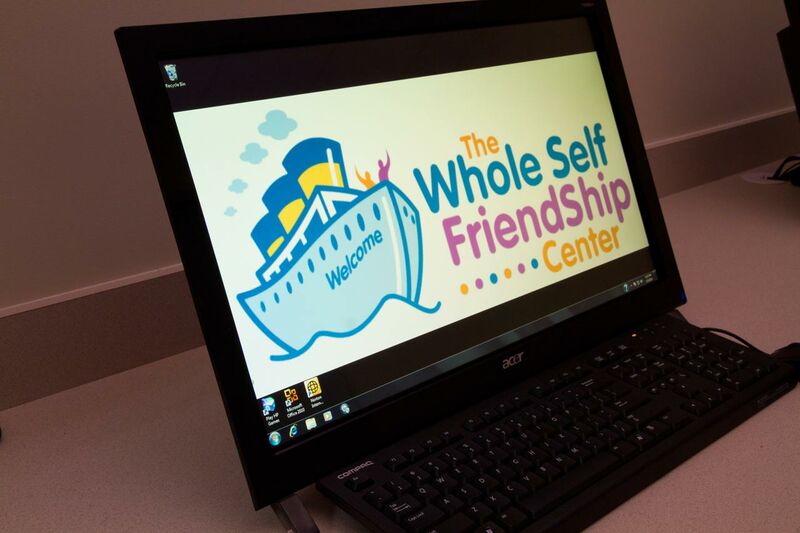 The Computer Room is equipped with educational games that help reinforce the Social Skills Categories children and adolescents are learning at The FriendShip Center. It also provides individuals the opportunity to share his/her interests and explore the interest and knowledge of his/her peers. allow for dancing to music and exercising to videos. 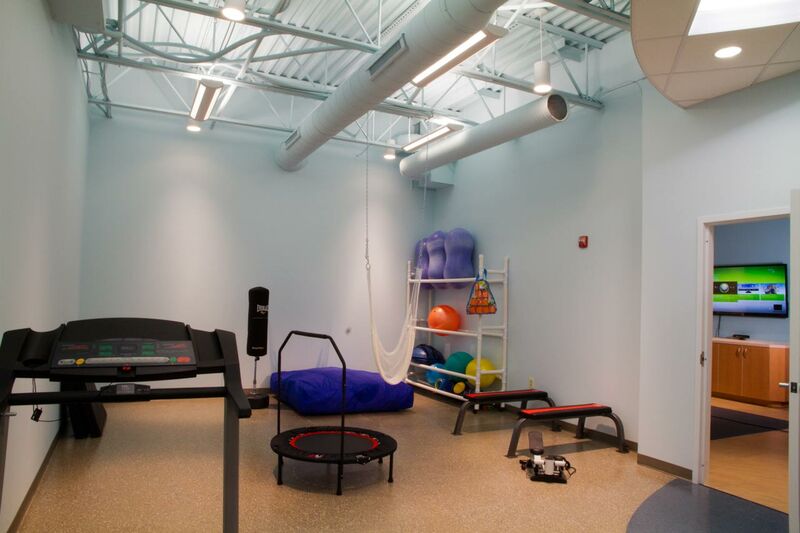 The Sensory Gym is equipped with high energy activities - with a trampoline, an indoor therapy swing, a treadmill, and a variety of shapes and sizes of exercise balls. Groups of children can play games, use the cooperative parachute, lift light weights, and enjoy activities coordinated with music. The room can also easily be transformed into a quiet space where your child can relax, and engage in calming sensory activities. 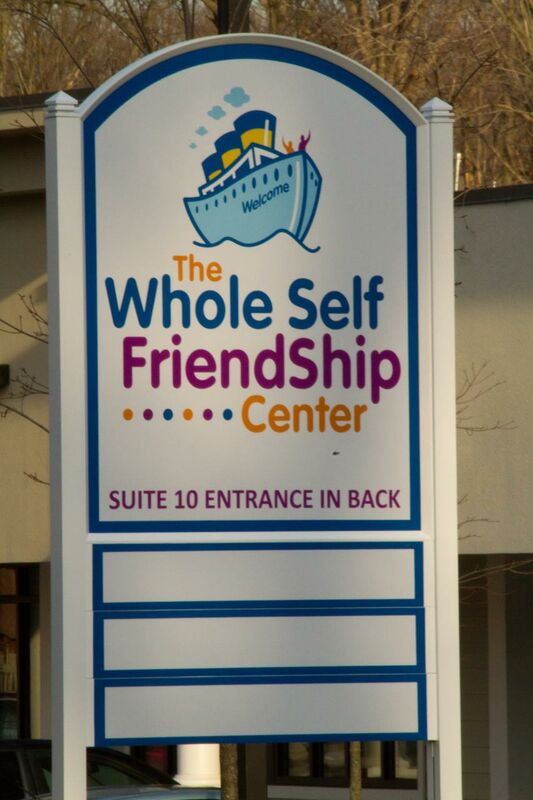 The Whole Self FriendShip Center uses the idea of ships that carry certain themes. Each week, the group of individuals in the Therapeutic Integration program will experience a different theme. For example, when the theme is “Kindness”, the group will experience kindness in a variety of ways. They will make arts and crafts about kindness; they will play games about kindness, they will be reminded of how to be kind while in the sensory gym and/or in the computer room, and they will experience ways to interact together in the media room. The FriendShip Center’s philosophy believes that if any group of individuals experiences positive themes together (such as communication, self control, creativity, patience, etc.) the group will be in an environment that nurtures friendship. As we experience friendship together, we are more open to learning social skills that support continued friendships; moreover, “Friendliness” in social settings. In addition to engaging the entire group in “FriendShip” themes that nurture the group as a whole, we also develop individualized Treatment Plans for each Autism Waiver participant. We implement the Treatment Plan goals using general therapeutic and therapeutic Recreational services. We use Behavior Management strategies with the intention to support individuals to regulate their own behavior. We engage the participants in Socialization Groups, Music therapy, and Arts and Crafts Activities that are designed to directly address the participant’s individualized goals. Ty will identify the rules for a room that he is struggling with, re-applies it to the schedule, and proceeds to follow it. Click: https://secure.wholeselfcenter.com/forms/familyrequest.cfm if you would like to complete the Request for Services Form now. This is a secured site, so your information will remain confidential.